As explained at last week’s meeting, our regular item “Lupin III” had been polling poorly in the last few monthly surveys, so we held a snap Bean Poll to determine whether we should keep this anime in our regular line up. Of those who voted, it was 11 to keep, 10 to discard. Lupin, once again you have made a death defying escape! Attendees seemed to enjoy last week’s preview episode so much, that we don’t know what else will properly compare. 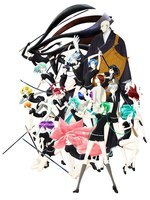 Finding a single episode of the latest season of anime that can convincingly beat last week’s “The Promised Neverland” is proving difficult, as the committee members were having difficulty on agreeing on any single series, so our compromise solution is to bedazzle you with two different preview episodes this week, as we try to expose you to more than a mere sample of the diversity of anime to be found in Japan. Is everyone awaiting for James Cameron’s live action “Battle Angel Alita” to arrive in cinemas on Thursday? Kohaku, who will become Hitomi’s grandmother, finally returns from England via ship and uses her magic to create an illusion of her school in London using some photos, but an oncoming train accidentally causes dust from the engine to fall all over everyone and the teacher. After school though, Kohaku informs Hitomi that the train was caused by her instead, and suspects that she has a dormant power within her. In the space forces of the Free Planets Alliance, Yang Web-li is a rising start similar to his counterpart Reinhard von Lohengramm of the Galactic Empire. But what forged this history student and incipient military genius, and for what does he fight? A fortune teller elf decides to predict Rimuru’s destined one, showing him a vision of a girl parting ways with her family. When Vesta, the minister who ordered the swords, arrives and insults Rimuru, Kaijin punches him in anger, resulting in both him, Rimuru, and the other dwarves getting arrested and put on trial. Upon finding his apartment trashed, Nitta disowns Hina and kicks her out. Hina blows through all her money and ends up spending the night with Anzu at her shack, but soon exhausts her patience as well until Anzu kicks her out three days later. Meanwhile, Utako and the rest of her regulars at the bar kick Nitta out for supposedly abandoning his daughter. As Ami tries to fit into boarding school in Annecy, she befriends fellow misfit Princess Dolma Sinha. Lupin’s next target is the Bloody Teardrop, a national treasure of the south-east Asian kingdom of Padar which is currently worn by Dolma. However, a terrorist group calling itself the Whales of Liberation occupies the school and takes the students and teachers hostage. From Osamu Tezuka’s beloved manga. During the 1470s after the Wars of Onin and Bunmei in the Noto Peninsula of the Hokuriku District, Hyakkimaru, who lacks as much as 48 body parts, obtains a fake body and eliminates 48 monsters that were made from his body to retrieve his missing body parts, and regain his humanity. As Lord Daigo Kagemitsu waits for his wife to give birth, he recalls the time he made a pact with the 12 demons in the Hall of Hell, prepared to tread the path of evil in exchange for power. When his son is born, the demons extract their payment, the child is born without limbs, facial features or skin. The baby is set adrift in the river and left to its fate. Sixteen years later, he is now a young man, travelling alone wearing prosthesis made by Dr. Jukai. 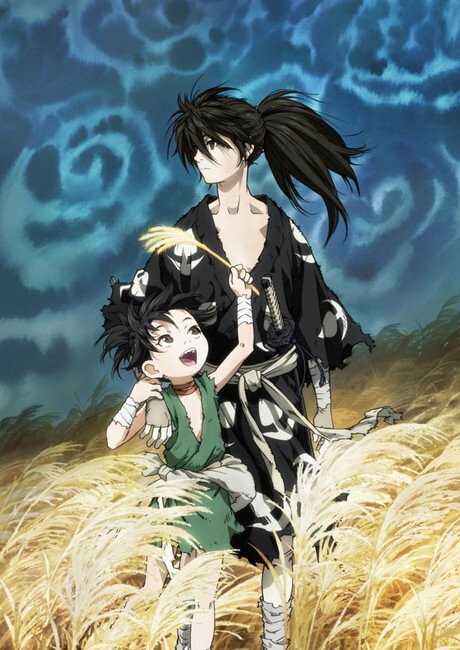 While hunting a sludge-like demon, he encounters Dororo, a young petty-thief being beaten by three men Dororo cheated out of their goods. This prequel to the very popular Boogiepop Phantom series deals with the sudden disappearance of several female students at Shinyo Academy. 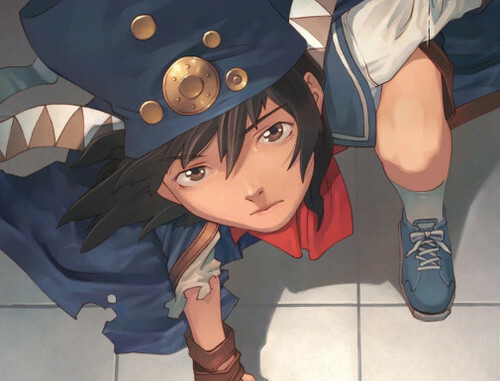 Couple this mystery with the sudden appearance of a mysterious apparition known only as Boogiepop, and even more questions arise in the mind of Keiji, a student who can see and converse with the strange spectre. Takeda Keiji is stood up on his date with fellow high-school student Miyashita Touko. She seems to have gone missing. But isn’t that Miyashita running around in the strange get-up claiming to be “BoogiePop”, and acting weirdly? What critical adversity has automatically spawned BoogiePop as a countermeasure? Ainz (Pandora’s Actor in disguise) investigates Sebas’ possible betrayal, with Demiurge, Victim, & Cocytus as witnesses. He orders Sebas to kill Tuare to confirm his loyalty. Sebas does so, and having his attacked blocked by Cocytus, Sebas is proven to be a steadfast servant to Nazarick. Meanwhile Princess Renner & Blue Rose meet to discuss the raids on Eight Fingers criminal syndicate. News of Polpo’s apparent suicide reaches the organization, along with suspicion that Bucciarati has hidden Polpo’s fortune. Meanwhile, Giorno is introduced to the other members of Passione; Leone Abbacchio, Narancia Ghirga, Guido Mista, and Pannacotta Fugo. 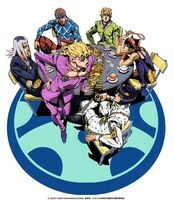 After learning of Polpo’s death, Bucciarati takes his team on a yacht to Capri to retrieve Polpo’s fortune and attain the rank of capo.